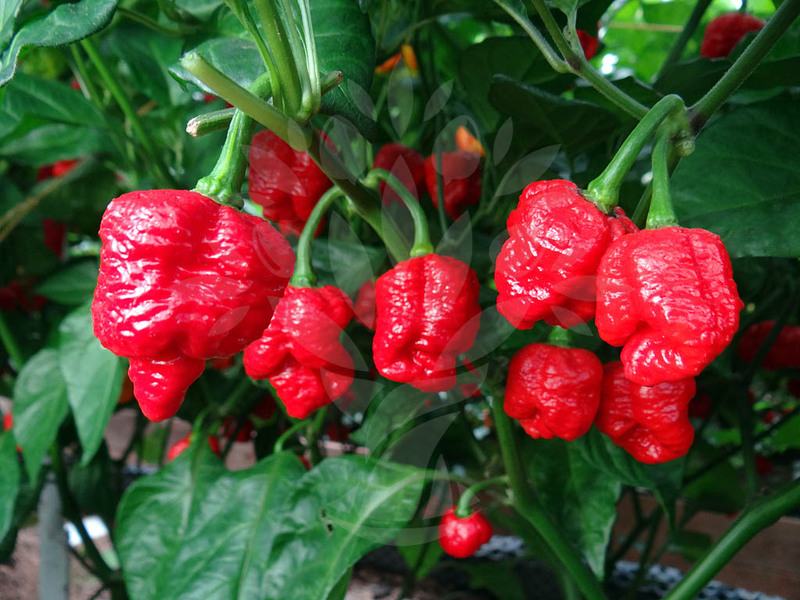 The Trinidad Moruga Scorpion Pepper is now considered one of the hottest peppers in the world. 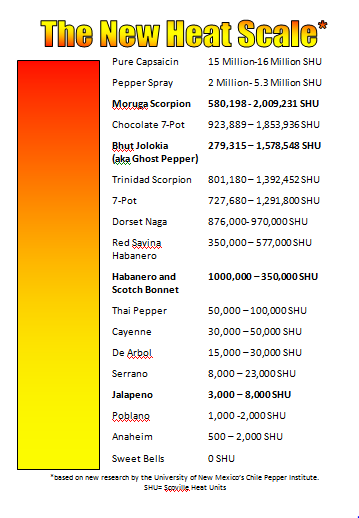 Not wanting to miss out, we have created a new “Beyond Wings of Death” sauce that blends both the old champ, the Bhut Jolokia (Ghost pepper) with flakes of the Moruga scorpion pepper. While we aim for heat, we also demand flavor. If you are someone who loves really really spicy food, give our new blend a try and tell us what you think. 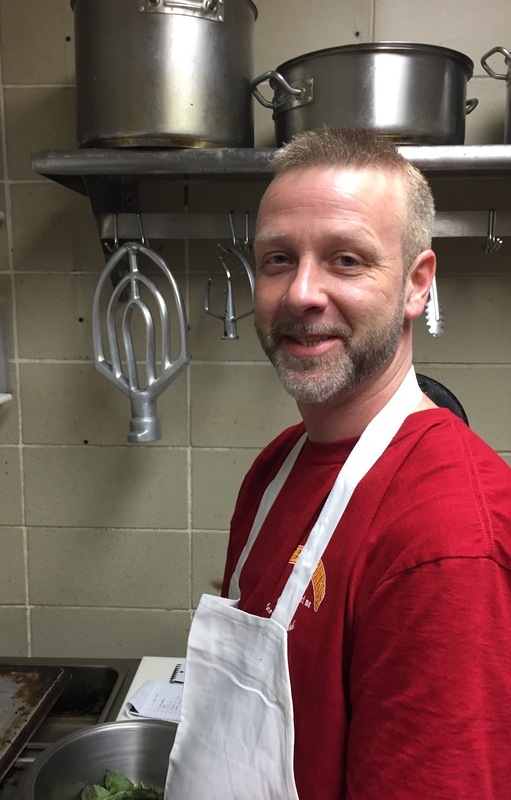 Jeff Roberts was recently re-hired as our chef at WesWings. Jeff had worked for us back in the 90s, during the early years of our empire. For the past sixteen years he has amassed a great deal of experience and culinary knowledge that he now brings back to us. Most recently, he was working at the upscale Bin 300 in Wolcott, CT. While we will maintain many of our old favorites, look for new specials this semester, as Jeff looks to expand and enhance our offerings. 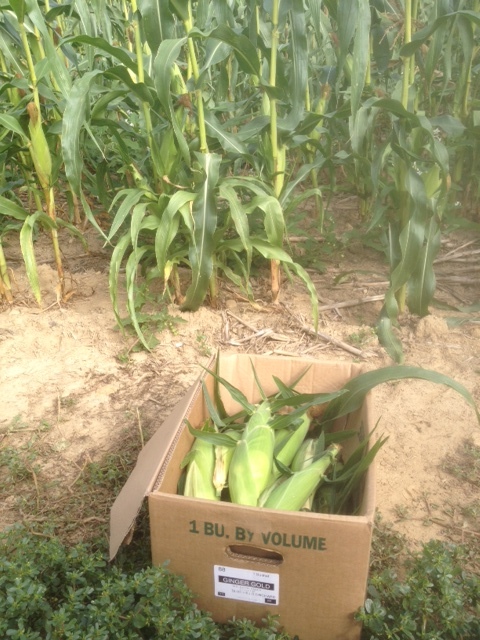 Tonight’s BBQ Chicken Special features corn on the cob from Treat Farm. 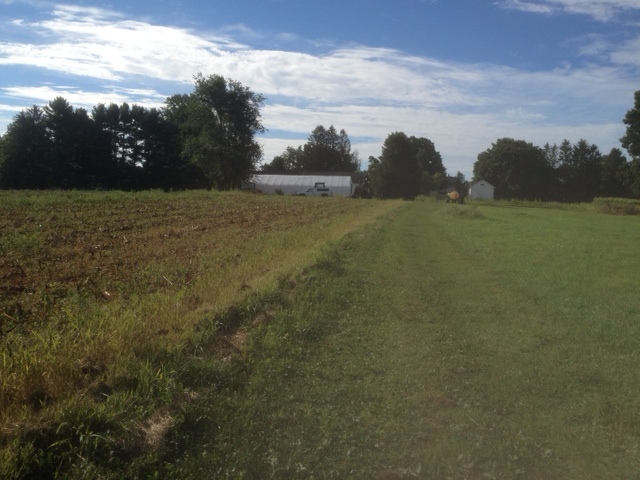 When I arrived this morning the farm staff wasn’t there today. 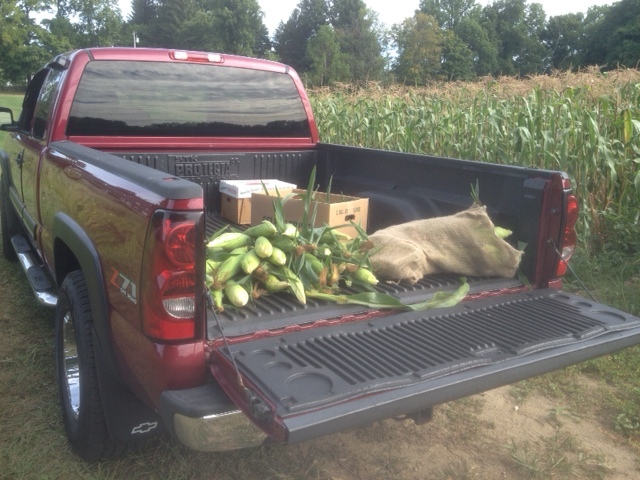 But we have a pretty good relationship with the farm and we REALLY wanted to bring you fresh local corn so.. 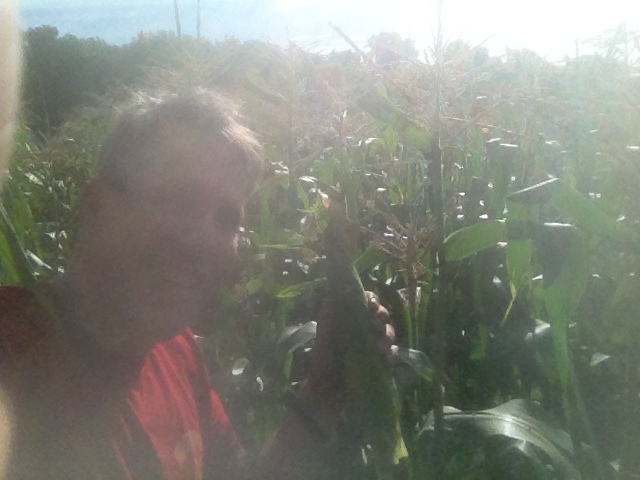 I picked 100 ears myself. We noticed that some of you are having trouble adjusting to our new menu boards. As much as we enjoy watching the confused looks on your faces, the changes really are intended to simplify the process. Only a couple of items are gone, some have moved and overall your choices have increased. Items like the Falafel Wrap, Tender Sandwich, Seitan Sandwich or Hummuswich are now found here and can be customized the way you want. 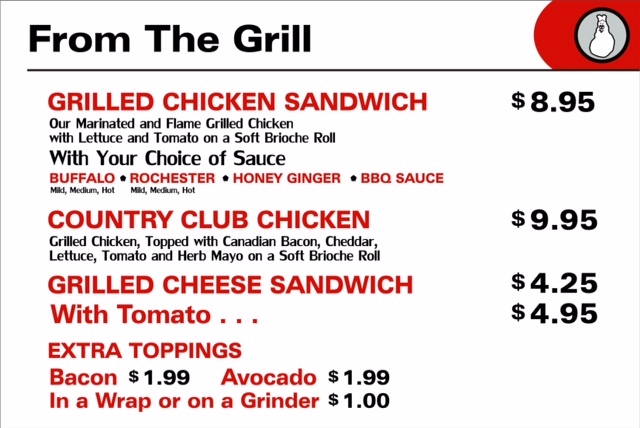 The Grilled Chicken Sandwich now comes with your choice of wing sauce. No longer limited to just Buffalo or Honey Ginger sauce, you can now have Medium Rochester if you choose. 1. Not getting over easy eggs. 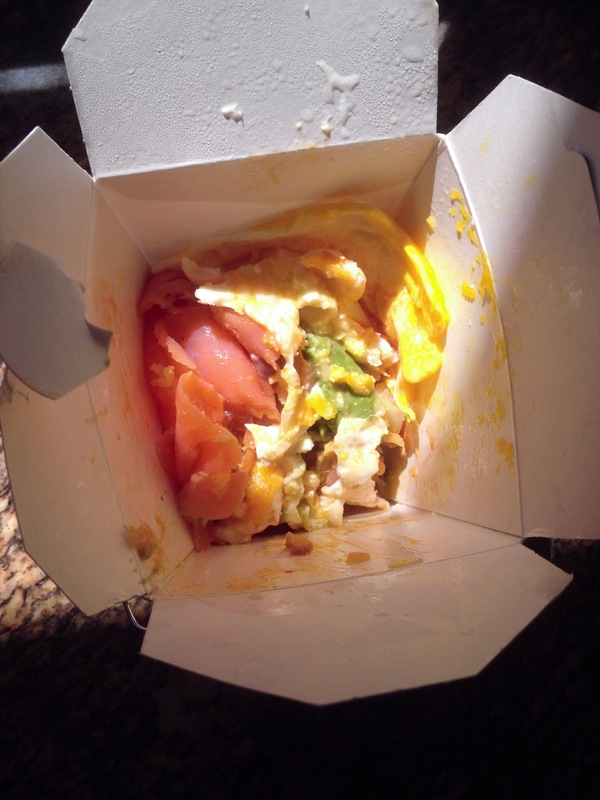 One key element is the runny yolk as it covers the other ingredients. While some of you may prefer your eggs scrambled, runny yolks make the pail. Check the specials board for the Eggs Benny. Whatever Hollandaise sauce is being used for that is usually available for a pail. Like the over easy egg, this stuff MAKES the pail. 5. Not mixing from the bottom. A pail is meant to be mixed. As Bob Marley sang, “Stir it Up” Eating from the bottom is the best way to get a little bit of every layer in every bite. 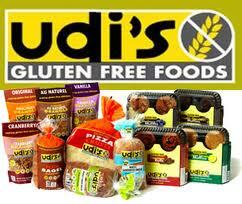 We are now carrying Udi’s gluten-free whole grain bread at WesWings. 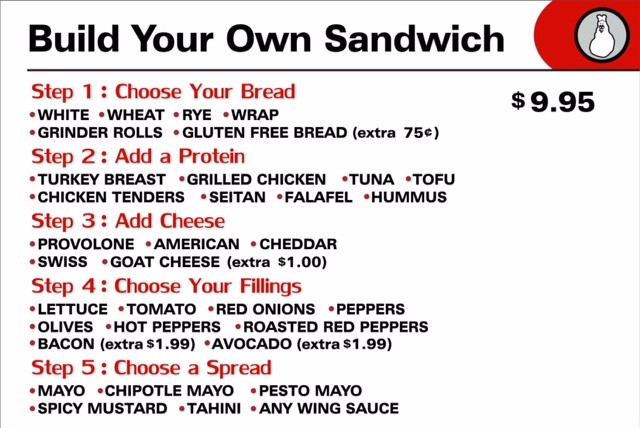 For an extra .75 cents, you can substitute Udi’s bread for any sandwich, burger, or grilled cheese. Check Out how Friday night’s salad special was made. But I’m a vegetarian. 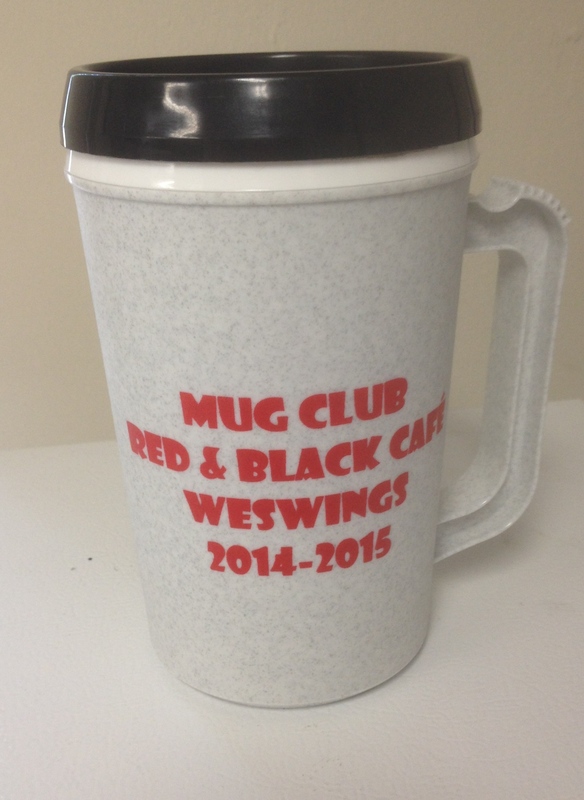 WesWings is the most, we repeat, the most vegetarian friendly chicken wing restaurant in the world! Veggie burgers are good, skip the herb mayo and cheese to make it vegan. We’ve been making falafel for over 20 years. We make it from scratch and offer it in a sandwich, on a salad or as a substitute on any of our daily specials. Seitan come from a local supplier called The Bridge. We lightly bread and fry it for sandwiches, salads or as veggie wings. We always have a marinated tofu (also from The Bridge) to put in a sandwich, salad or on one of our specials. Finally, our bagel melts, garden melts, veggie melts, hummus sandwiches and even a grilled cheese rounds out the many choices. Specials. Why we’re so popular and what will keep you coming back. At lunch, we will have 3-4 specials. From meatball grinders to fried clams to Philly steak sandwiches, they are always paired with sides to give you value and make it easy to decide when you don’t have a lot of time for lunch. At dinner, our salad specials are huge and often feature great toppings like fresh strawberries, goat cheese, candied nuts, crab cakes, fresh mozzarella and basil. We often make pasta from scratch and will feature penne vodka, homemade meatballs, and our very popular Eggplant Parmesan. What else do we make? Awesome pulled pork, Grilled Salmon, baby back ribs, risotto with shrimp, LOBSTER. This of course is just a brief overview. We hope others will add comments of their favorites, to give you menu ideas.